The data exporter allows you to pull your data into a convenient CSV file for reporting or other purposes. 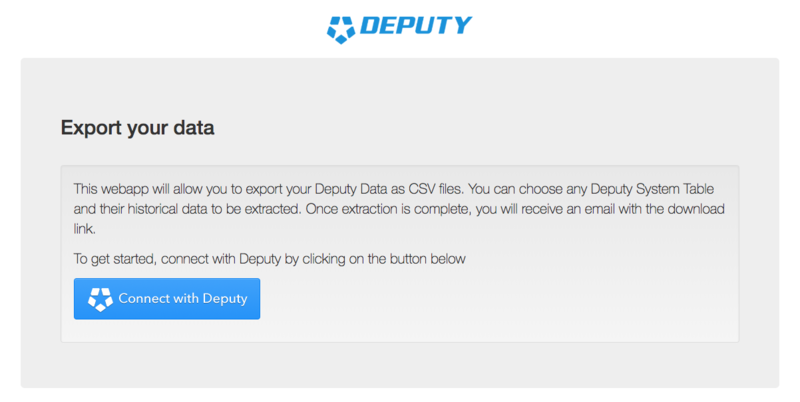 The Data Exporter allows you to pull stored data from Deputy as a CSV file. Please ensure that you have System Administrator access level permissions for the account you would like to export data from. Then, click 'Connect with Deputy'. 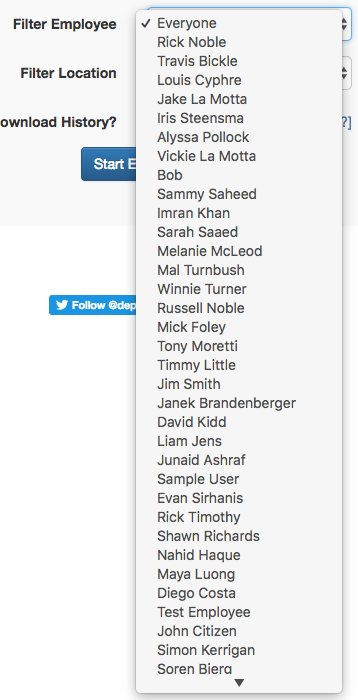 You will be prompted to log into your Deputy account. If successful, you will be brought to an authorisation screen. 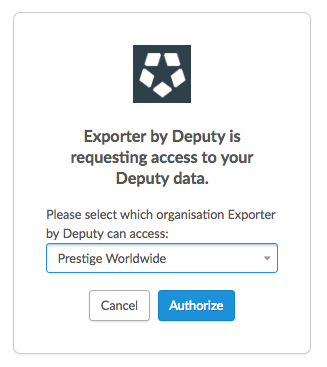 Here, you will need to select the organisation/instance of Deputy you would like to export from. Click 'Authorize' when you have selected the desired instance. You can also define the dataset you will export. 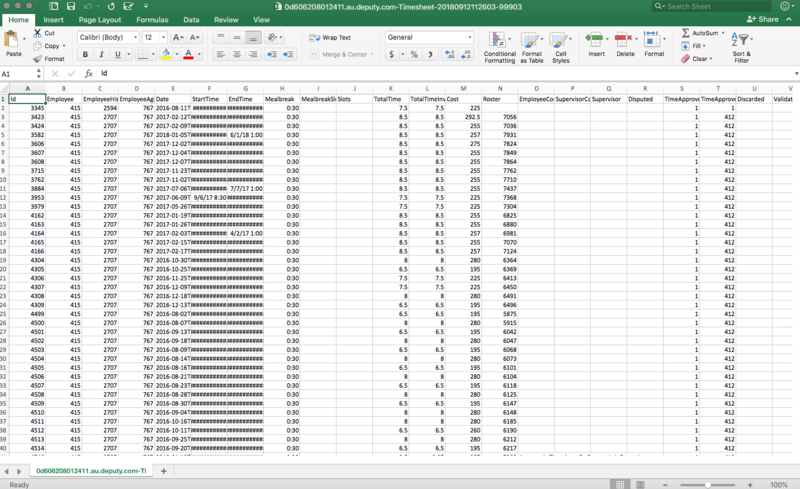 This is dependant on the dataset that you will define as mentioned in the following points. 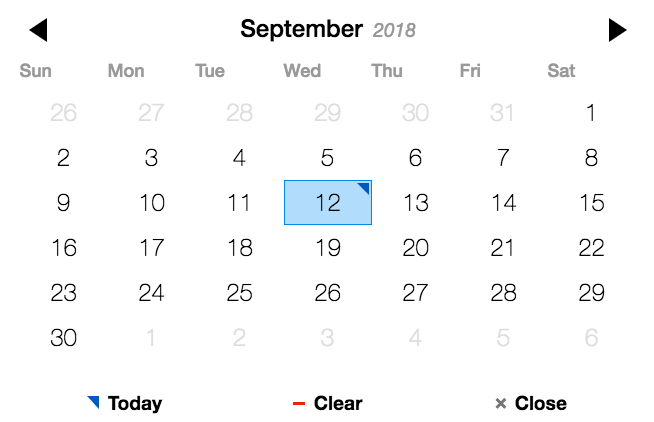 Clicking this allows you to export records created at and after a certain date. 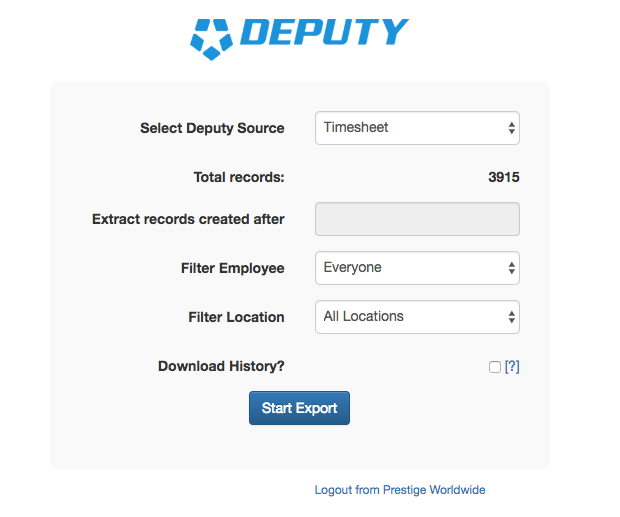 Here, you can define whether you want to export data from all employees, or for a specific employee. This allows you to select the location you would like to export data from. After you have defined your dataset, click the 'Start Export' button. 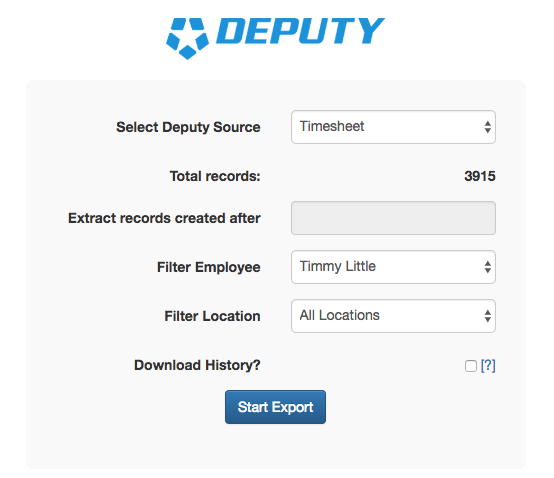 In this example, we'll be exporting all of Timmy Little's Timesheet data from all locations. As this takes time, you will be presented with the following screen, which explains that your export file will be sent to the account's email address.